CALSTART's survey of Tier 1 automotive suppliers reveals that they do not necessarily see EVs as the main force to meet 2025 Federal Light-duty Vehicle fuel economy regulations. With that said, the majority of these suppliers likely have some self-interest at heart when answering this question, as an EV platform most likely eliminates many of the parts they are currently supplying the automakers. 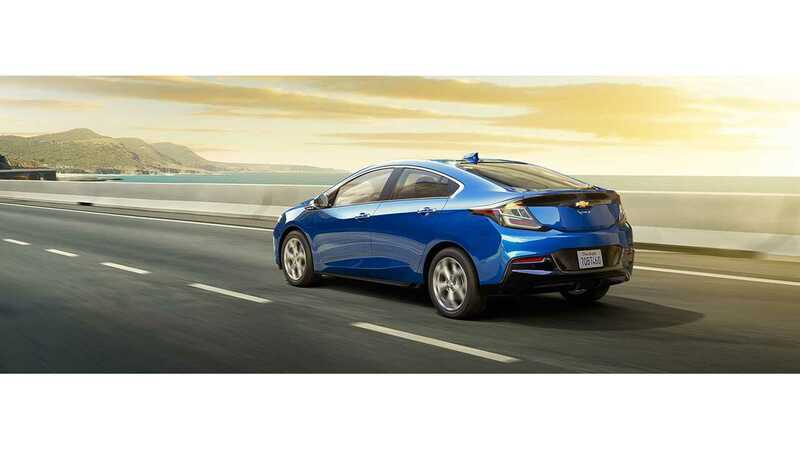 Plug-in hybrids and EVs are offered as solution in the middle of the pack, while fuel cell electric vehicles seem to be orphaned by suppliers (which begs the question why some automakers have other opinions). "When presented with a list of technologies that might be used to meet fuel-efficiency standards, suppliers picked turbocharging and engine downsizing, along with higher-speed automatic transmissions, as the most critical. Hybrid technology was also viewed as important, along with variable valve timing, gasoline direct injection, and mass reduction. 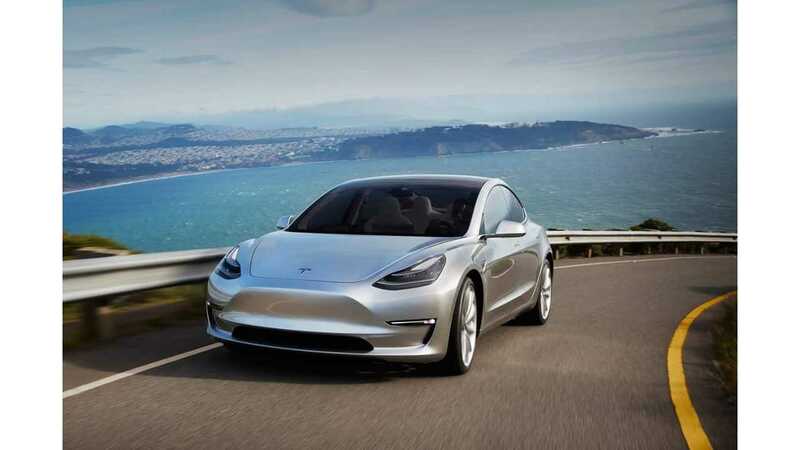 Suppliers were split on whether or not meeting the standards would ultimately require more electric vehicles than are already slated to hit the roads under state zero-emissions vehicle requirements." According to the CALSTART report, 29% of survey respondents expect that there will be 2% more EVs than the base requirement in 2015 to meet the fuel economy standard overall. 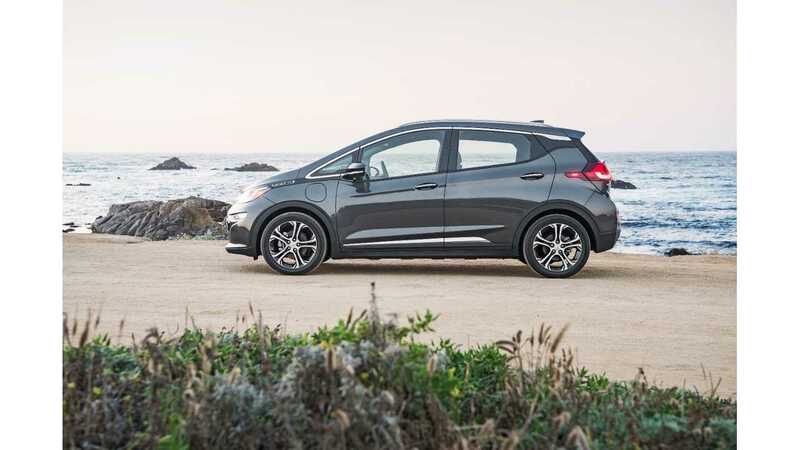 "Deployment of electric vehicles is required under the ZEV mandates that exist in California and various other states (requiring electrification in 15% of new light-duty vehicle sales by 2025, which equates to about 4% of new light-duty vehicle sales nationwide). 29% of respondents indicated that they would expect at least an additional 2% of electrified light-duty vehicles above the ZEV mandate requirements to be necessary to meet the 2025 targets. 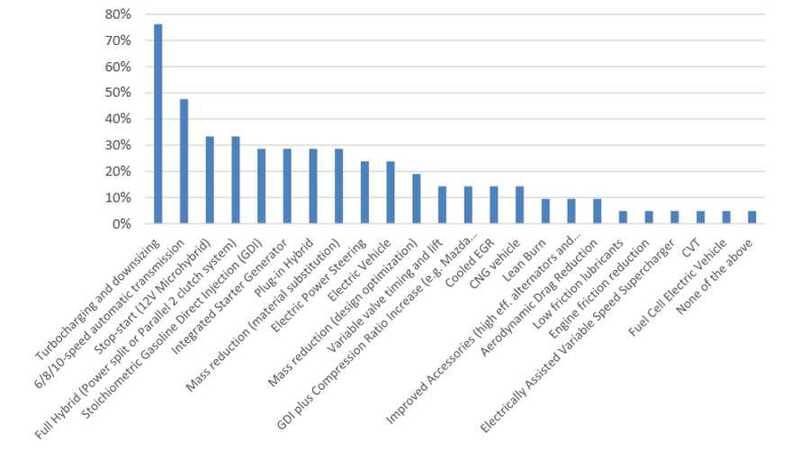 In comparison, 24% of survey respondents felt that there would be sufficient improvements in ICE technologies, lightweighting and hybridization technologies to meet the 2025 targets without additional electrification. During the interview, Eaton indicated that achieving the GHG targets is dependent on the level of EV penetration. While the targets are still achievable without a large increase in the EV penetration rate, the targets could be achieved more easily if they were complimented by investments in EV charging infrastructure. BorgWarner suggested that an electrification level of 30% will be needed to meet the targets, which is even higher than the estimate presented by the EPA in the latest midterm report." Pasadena, Calif. (September 15, 2016) - Major automotive suppliers see national fuel economy standards as important for long-term planning and investment and don’t want to see them altered by policymakers, according to a first-of-its-kind industry survey commissioned by CALSTART, an automotive technology industry group. Three quarters agreed that setting targets beyond 2025 is also important for longterm planning. Starting in 2008, agencies reformed fuel-economy requirements to make them footprintbased, meaning smaller vehicles have higher miles-per-gallon requirements while larger vehicles have lower ones. Suppliers emphasized that even as all vehicle types become more efficient, consumers are expected to buy more large cars, trucks and SUVs if gas prices remain low. Overall, federal agencies project a fleet-wide fuel economy average of between 50 and 52.6 miles per gallon under test conditions for the 2025 model year. That translates to an average of 36 miles per gallon in actual on-road performance, which is about what today’s gasolinepowered Honda Fit already achieves.